Health experts have associated the benefits of mangoes to reducing the risk of many lifestyle-related health conditions. Like most of the fruits we have featured on this blog, increasing the intake of mango can lead to overall improvement in health. Below some of the specific benefits of mangoes. The risks of developing asthma are lower in people who consume a high amount of certain nutrients. One of these nutrients is beta-carotene, found in mangoes, papaya, apricots, broccoli, cantaloupe, pumpkin, and carrots. Diets rich in beta-carotene may also play a protective role against prostate cancer, according to a study conducted by the Harvard School of Public Health’s Department of Nutrition and has been shown to have an inverse association with the development of colon. In a study conducted by Texas AgriLife Research food scientists who tested mango polyphenol extracts in vitro on colon, breast, lung, leukemia and prostate cancers, mangoes were shown to have some impact on all cancers tested but were most effective with breast and colon cancers. 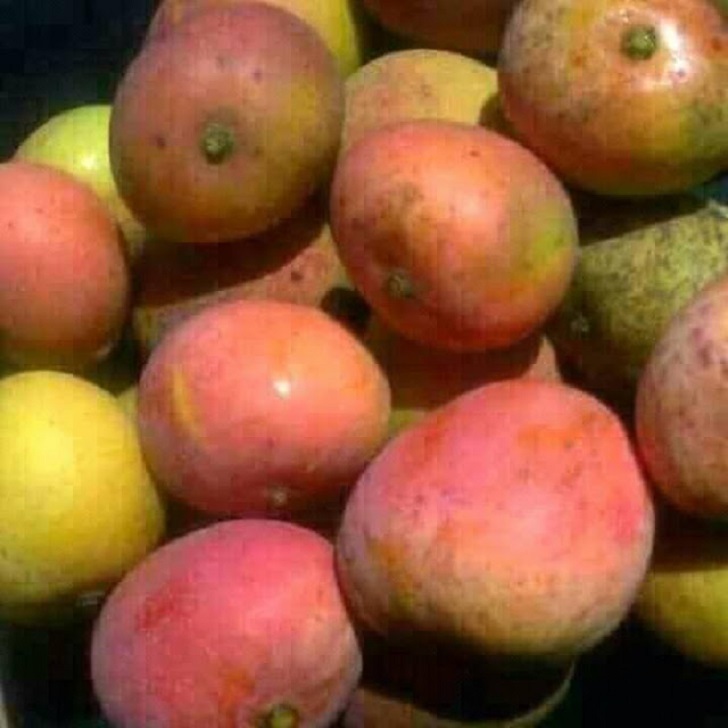 The researchers are hoping to do a small clinical trial with individuals who have increased inflammation in their intestines with a higher risk for cancer for further proof for the efficacy of using mangoes in cancer prevention or treatment. Low intakes of vitamin K have been associated with a higher risk of bone fracture. Adequate vitamin K consumption can be achieved by eating a proper intake of fruits and vegetables and is important for improving calcium absorption essential for optimal bone health. Studies have shown that type 1 diabetics who consume high-fiber diets have lower blood glucose levels and type 2 diabetics may have improved blood sugar, lipids, and insulin levels. One cup of mango provides about 3 grams of fiber. The fiber, potassium and vitamin content in mangoes all help to ward off heart disease. An increase in potassium intake along with a decrease in sodium intake is the most important dietary change that a person can make to reduce their risk of cardiovascular disease. Mangoes are also great for your hair because they contain vitamin A, a nutrient required for sebum production that keeps hair moisturized. Vitamin A is also necessary for the growth of all bodily tissues, including skin and hair. Adequate intake of vitamin C, which 1-cup of mango per day can provide, is needed for the building and maintenance of collagen, which provides structure to skin and hair. These are important benefits of mangoes that many people are not aware of. Hope you increase your intake of mangoes due to the insight obtained from this article.